Three-plate position Thermal Block that integrates with the Beckman Coulter Biomek FX deck. MéCour has designed this and other thermal units to properly locate on the Beckman ALP to minimize additional “teaching” to the robot regarding the “X, Y & Z” axis’. This system affords you maximum uniform temperature control to all positions. This type of design provides flexibility with the number of different plates or reservoirs you require to support your application and through put levels. Standard operating temperature range is 0˚C to +100˚C. Higher or lower operating temperatures are available upon request and will integrate with automated process. 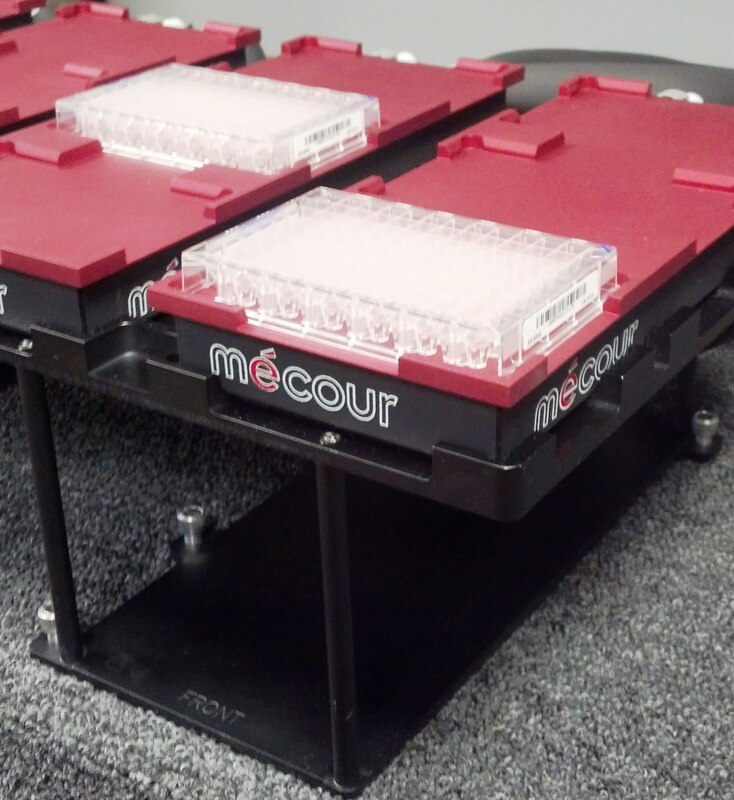 MéCour Thermal units designed to cover entire Beckman Coulter Biomek FX deck and provide end-user maximum temperature controls to all 12 plate or reservoir positions. Other plate configurations available to suite your needs. Utilize a wide range of consumables to more effectively run your applications without compromising sample integrity due to erratic temperature losses. Keep all plates or reservoirs equilibrated. Reference our Thermal Inserts for more information on supporting various plates with MéCour thermal inserts. Contact MéCour or Beckman Coulter for more information on how we can design a complete thermal system per your requirements that will integrate with the Beckman Coulter automated platforms.